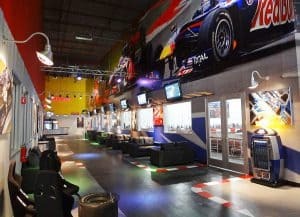 This weekend, we held a party at K1 Speed Irvine for our Top 50 ProScore holders to thank them for their support and congratulate them on their accomplishment! It was great having some of our most loyal customers from throughout Southern California and Washington State descend on our Orange County indoor karting center for a night of free food and free racing. Everyone had a great time and we were able to reward trophies to our top racers as well as announce who would take part in the PKE2010 arena kart race in Las Vegas next month. 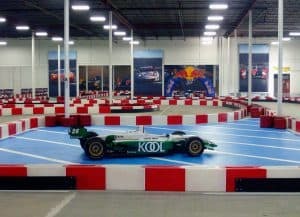 Everyone at K1 Speed would like to thank those who attended for their continued support; we considered it a night amongst friends and we hope that the attendees enjoyed it as much as we did! It is no small feat to get into the Top 50 of our ProScore system; there are nearly 750,000 people in our database and new racers join our ranks every day. To achieve a ProScore of over 200 points requires skill and dedication, and we wanted to reward those individuals who have put in the time and effort to be among the best indoor racers in the country! With 2010 now on us, we have reset our ProScore system so that everyone is once again on a level playing field, but if you want to make it into the Top 50, we recommend that you start now, as many of our top racers are already on their way to the magical 200 mark and beyond! Javier Cantu-Lucero and Randy Olivarez – regular competitors in our K1 Speed Seattle Challenge GP kart league – visit our Top 50 ProScore party in Orange County, California! Who were the top scorers that will be going to Vegas for the PKE2010?